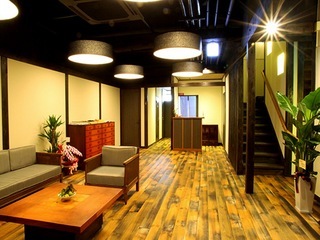 The Japanese – style auberge only for adults. 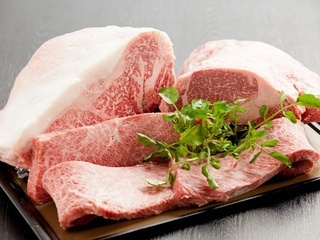 The Japanese – style auberge only for adults where you can have the greatest Tajima beef(Kobe beef)! We opened in September 2013. 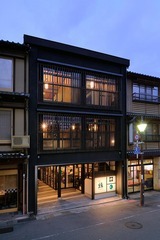 This is what we call “Japanese – style auberge in Kinosaki”. In order to make your stay the best it can be, we highly emphasize and care for your privacy. *We are sorry that children 12 years old and under can not be accepted to stay with us. 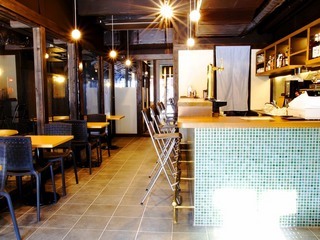 Three-minute walk from JR Kinosaki Onsen Station. LCD television / Washbasin / Wi-Fi / Refrigerator / Toilet with bidet / Air conditioner with temperature control / Tea set / Bath towel / Towel / Toothbrush. 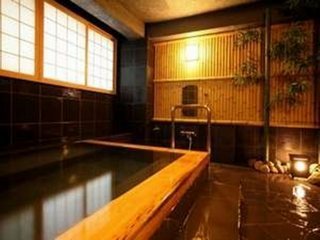 Baths: 24 hours free private baths. We do not ask you to have a reservation for our private baths, so when the sign is on “Vacancy” you may use them. Please be sure to put the sign “Occupied” and lock the door when you are in. Other amenities are ready at the front desk. Please inquire at the front desk whenever you need.